Aston Martin DB11: do you like the new look? Can we use this on the school run every day, Dad? The Aston Martin DB11: twinned with Santa Claus. I’ve just spent a long weekend driving the V12-powered coupe, and its effortless ability to spread joy and happiness to all it touches, young and old, is reminiscent of the tubby, bearded fellow in red and white. It’s doubtful that many Uber drivers use an Aston, but I ended up being pressed into quite a few rides. 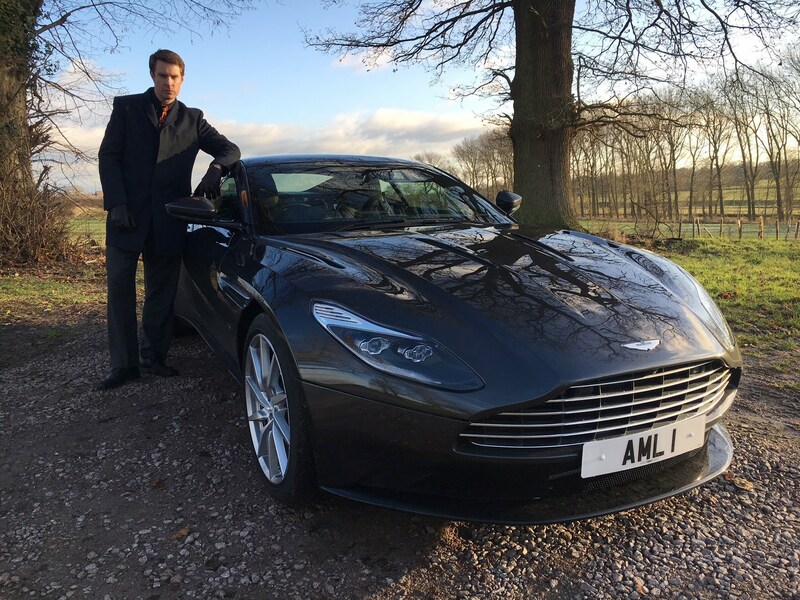 First up was enabling James, who works at my mum’s nursing home, to live out his James Bond fantasies (see below). Demonstration number one: the all-new, downsized V12 engine. The old, naturally aspirated 5.9-litre was bouncing off its limiter making 595bhp – the new V12, despite being shrunk to 5.2 litres but with twin-turbochargers, kicks out five horses more in its base state of tune. Some engines shriek, Aston engines just bellow. The bassy roar builds and builds as you climb the rev range, a tinkling of intake valves providing a little treble. The growling sound is omnipresent and incessant, much like the acceleration with its long, steady gearing. 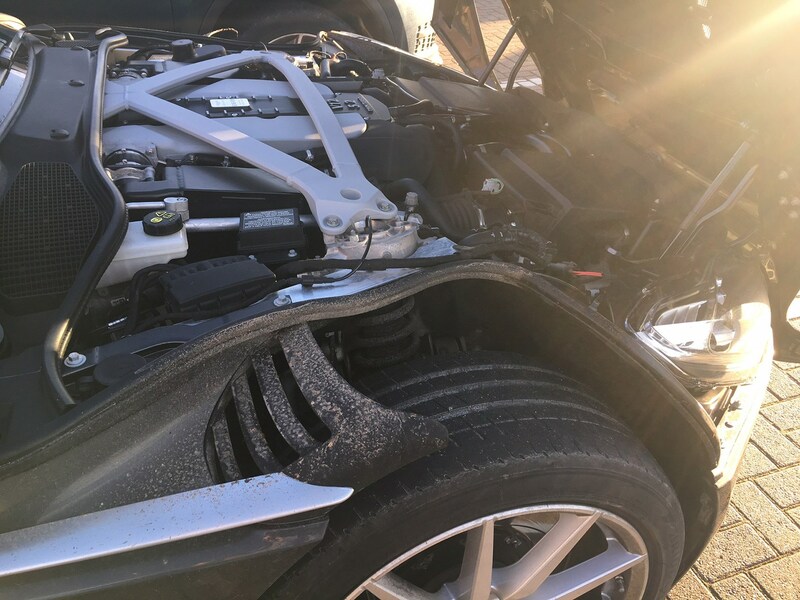 This V12’s character differs because of its torque delivery: 516lb ft steams in at 1500revs, that’s more punch and down lower than with the old engine. Induction may be forced but there’s no hint of turbo lag, throttle response is nice and crisp. It helps make the DB11 a true Aston Martin Grand Tourer. The meaty steering responds accurately but is anything but flighty, and the 1770kg DB11 doesn’t feel quite as quick as it is loud. 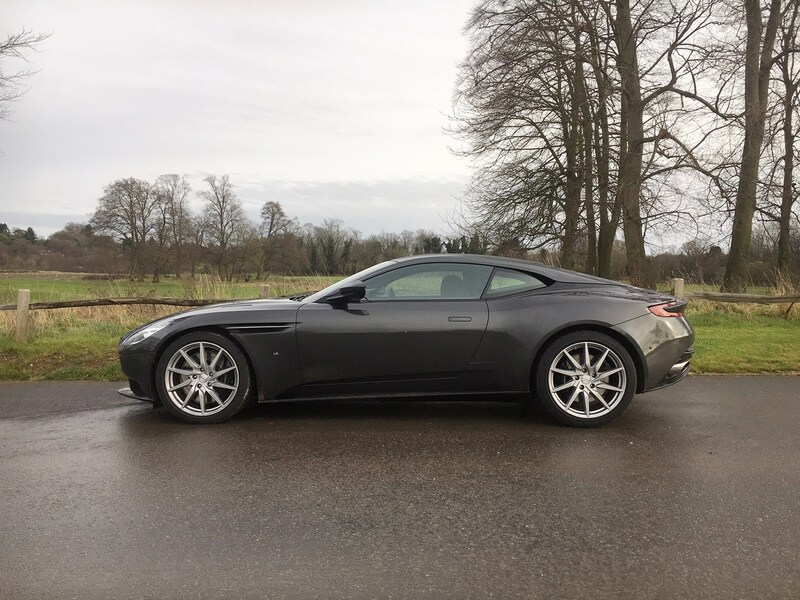 Not that the glassy December roads are helping much: a few times, the DB11’s hips wiggle and the rear Bridgestones break traction, with the electronics stepping in to soothe the over-eager clump of my right foot. 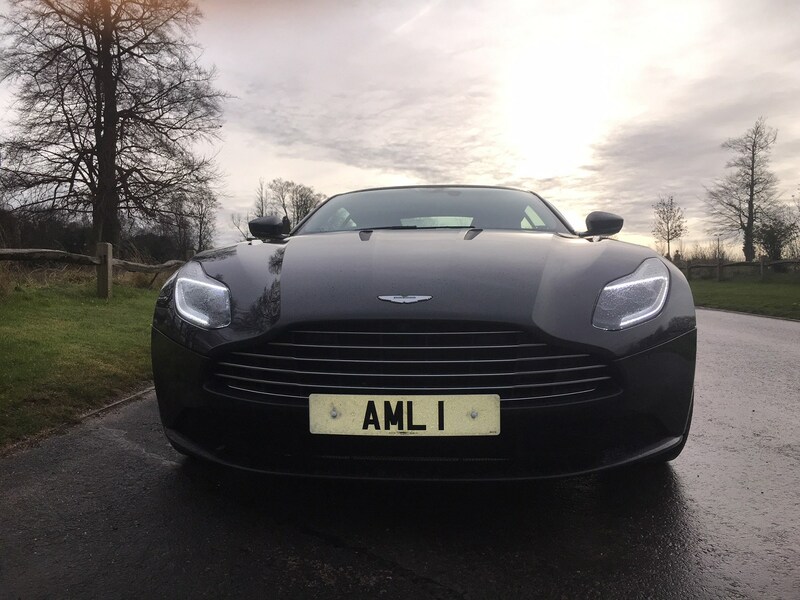 Having asked me to take him out in an Aston about a year ago, James is absolutely made up, and we spend about 15 minutes taking selfies to capture the moment. 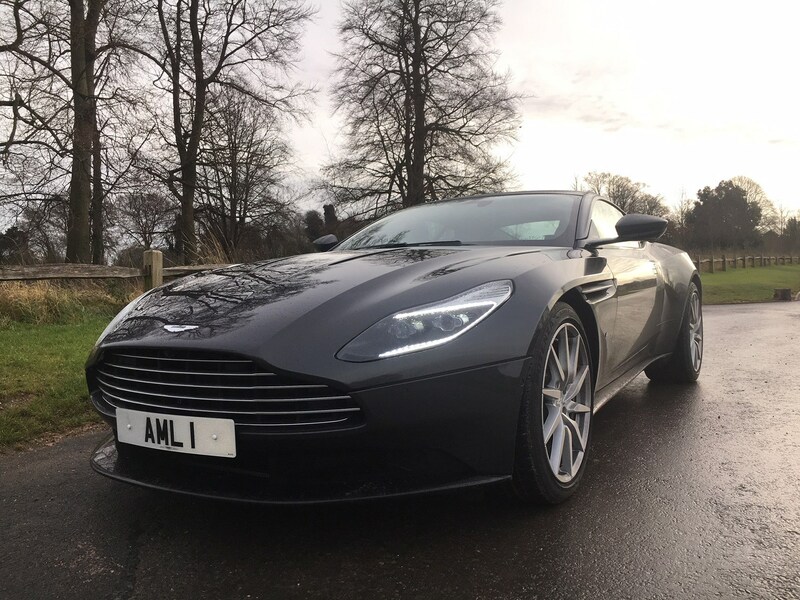 My next wave of ride hailers – old mate Tim Cotgrove and his two boys Charlie and Jack – home in on all the DB11’s surprise and delight features. First job is to pop the clamshell bonnet, exposing the vast engine somehow jemmied in behind the front axle and the cutaway front wheelarch top sections. They make it easy to check tread depth, and do an important aerodynamic job channeling turbulent air out of the arches to reduce lift. The boys are equally excited about the DB11’s other wonderful aero feature, the duct hidden between the sideglass and the tumbling, two-tone roof strake. Hands disappear into the snorkels, and we spin around to the boot to see where the air exits the body: through the bootlid, creating a virtual spoiler of air. There are two ‘old-gen’ Astons parked on this Wandsworth road – a DB9 and a Vanquish – and they’re still beautiful. 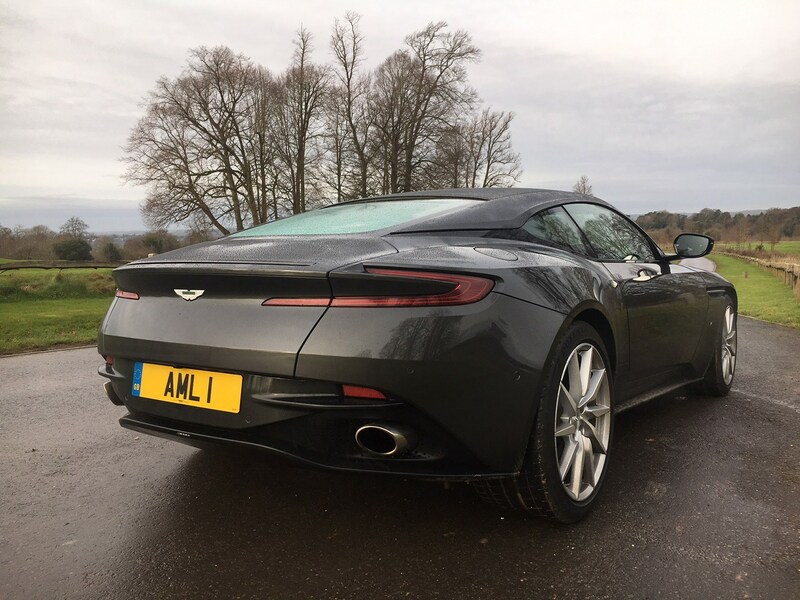 But the edginess of the DB11’s lines – the sharky nose, the flamboyant, upturned shoulder line, the crowning glory of the roof – truly deliver on the mission statement of modernising Aston Martin. There are deeply rational features that prove equally satisfying. 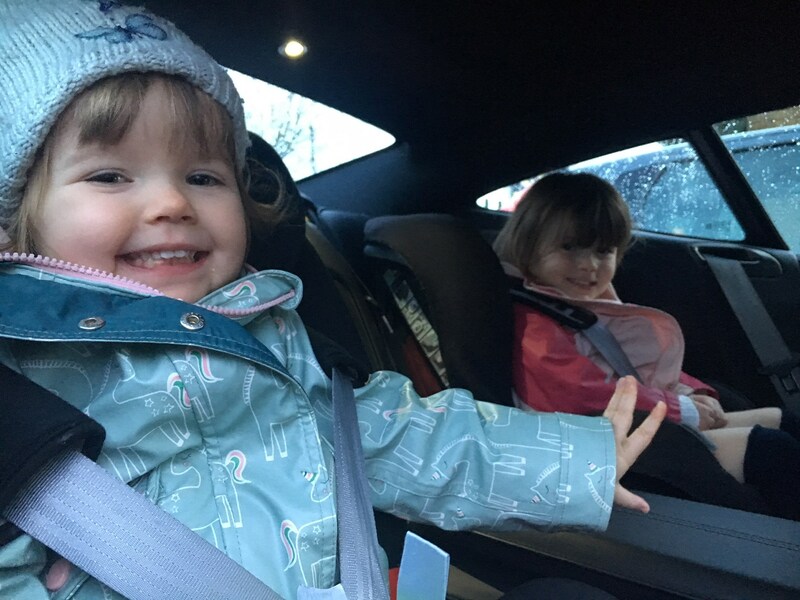 The four of us can go for a ride with a bit of legroom give-and-take, but more impressively, I can also guide two chunky child seats into the rear – something I couldn’t manage in Bentley’s current Continental GT Convertible, even with the roof down – and use Isofix brackets to clamp them. Press the volume dial on the steering to instantly silence the radio, which is perfect when you’ve finally got a chance to uncork the V12. And there’s something rather wonderful – if unspeakably indulgent – about a powered armrest that retracts to reveal stowage space. The final leg is an expedition to Surrey, admiring the plush cabin with even the roof lined in leather, and strips with circular inserts inspired by Brogue shoe detailing. 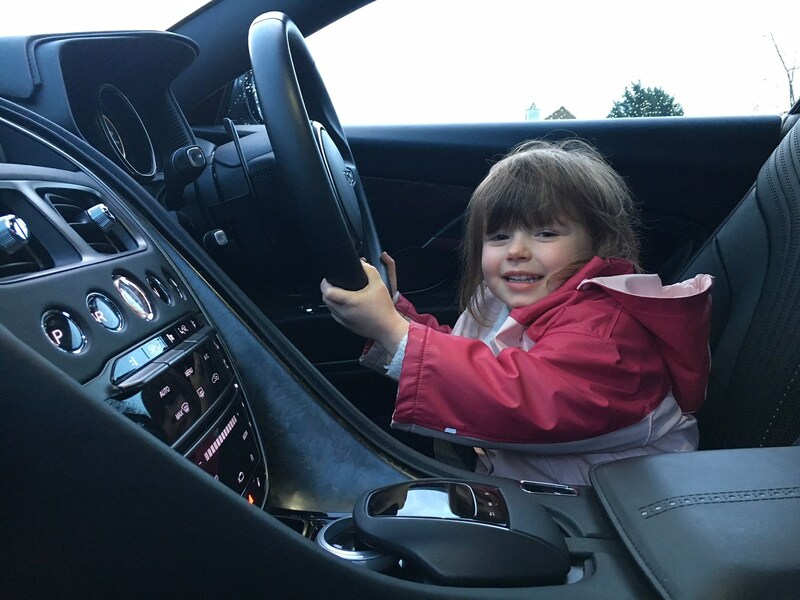 The ride is sweetly compliant in GT and Sport modes (though the latter dials out the occasional bit of float), and individual buttons on the steering wheel allow drivers to tweak engine and dampers independently. Switch the drivetrain from GT to Sport, and the eight-speed auto becomes more eager to downshift and the throttle response sharpens. Wind noise is a bit intrusive at motorway speeds despite the double-glazing, and my window disobeys my instructions to close a couple of times. And the boot release is plain awkward: press the key fob and there’s no release sound or bootlid movement, so you have to grapple away to heave it open. Other tiny peeves are the tiny Nav or Tel scripts on the centre console to select functions, and the volume slider, are fiddly and set too low: thankfully the Mercedes electronic platform has a home button which brings up icons on the central screen to select with the rotary controller. But for a test car with 16,000 miles on the clock, the DB11 feels well-bolted together and doesn’t show wear and tear. It’s a year now since the first of the new generation Astons went on sale: a V8 sibling has followed it into production, and a Volante version will follow in 2018. Everything was riding on the DB11, it had to be the profits generator to fund the new wave of Aston Martin cars. It’s working. Wholesale volumes jumped 65% in the first nine months of 2017, driving Aston out of the red and onto a £22m pre-tax profit. 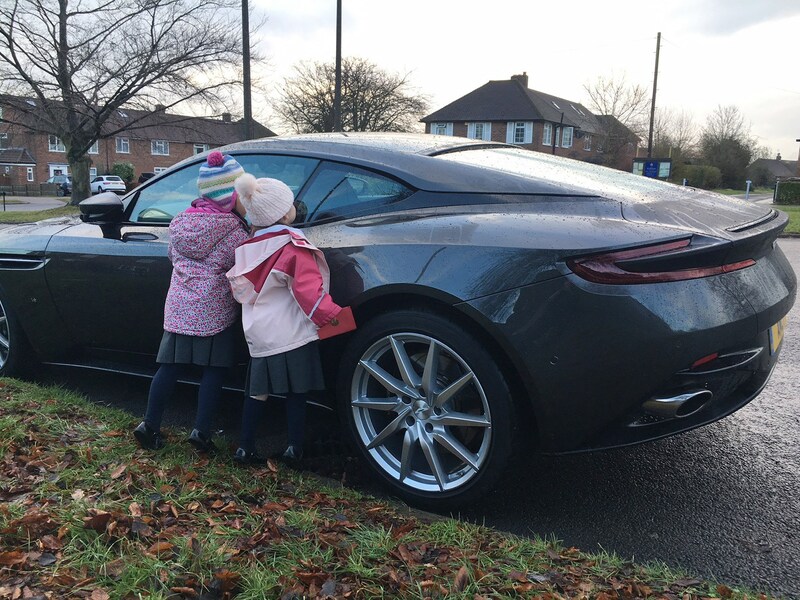 So just like Santa, the DB11 is a giver: it’s put Aston on the path to a sustainable future. With its advanced aero to cut through the air and that joyous engine, the DB11 has some of the credentials to be the perfect Santa’s sleigh. Not sure the boot’s up to carrying 1.9-billion Christmas presents, so Santa will have to hold off for now. But when he retires to Florida, the big man would struggle to find more appropriate wheels than an Aston Martin DB11.